Using Robot Console and text message CPF9898, you can send a completion status to a Robot reactive job so that a prerequisite condition is met and the reactive job can run. To do this, create a message set for CPF9898. Using OPAL, you can check the message text for a certain value. Then, use the SNDRBTDTA command for the appropriate Robot job. 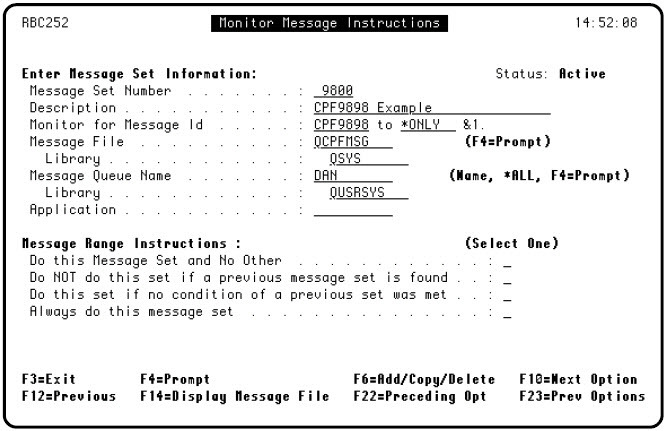 In the example shown below, certain user programs issue message CPF9898 with text that represents what just completed in the program. 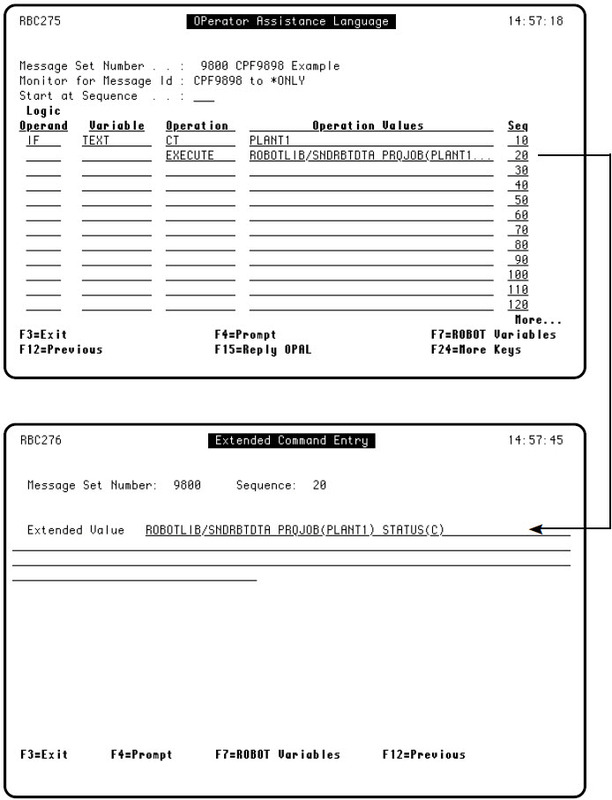 On receipt of the message, the text is scanned to see if it contains a certain word and, if it does, the SNDRBTDTA command is issued. The SNDRBTDTA command updates the completion of a user prerequisite job. When this is updated on the reactive job and all other conditions for the job are met, the Robot job will run. Create a message set for CPF9898. Enter the OPAL code for the message set. 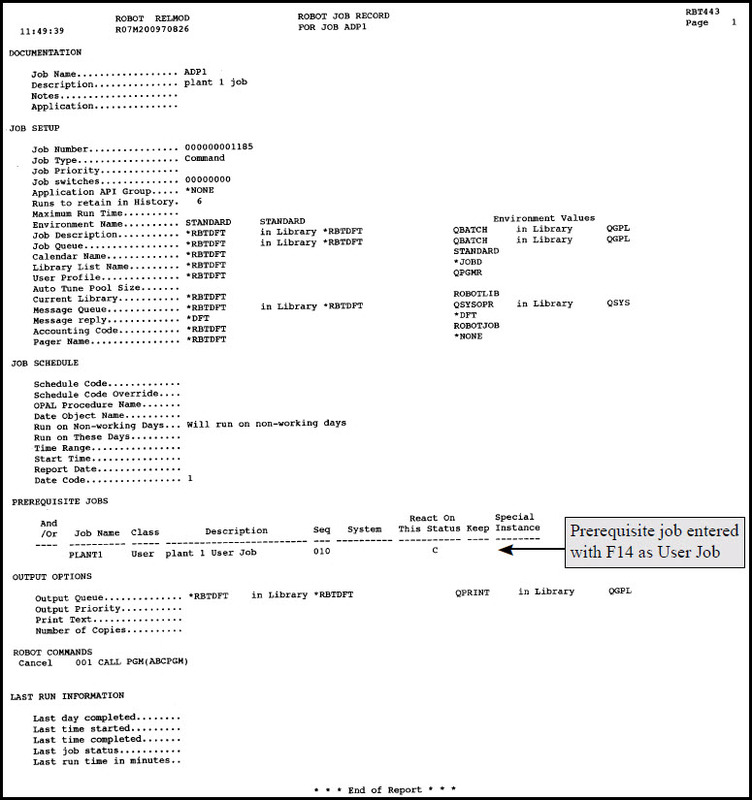 The Robot job record shows the completion status of the prerequisite job.